What’s brown and furry and pops up every February 2nd on our calendars? Groundhog day! Yes, it’s one of the few holidays in the world to be named after a rodent, but it commands a level of respect much larger than its cuddly namesake. 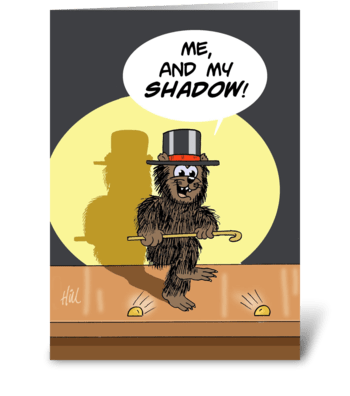 The holiday derives its name from “Punxsutawney Phil”, a groundhog in Pennsylvania who is said to know whether or not winter will last longer based on whether he sees his shadow. 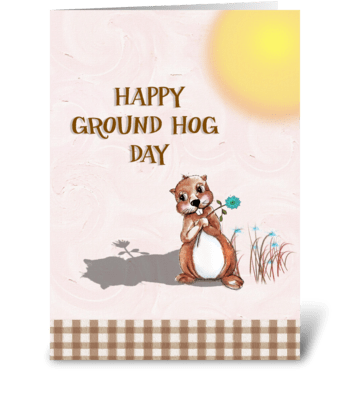 But even if he doesn’t it’s a great time for you to make sure your friends and family are doing well with a card for groundhog day – just don’t look for your shadow on your way to mail it. 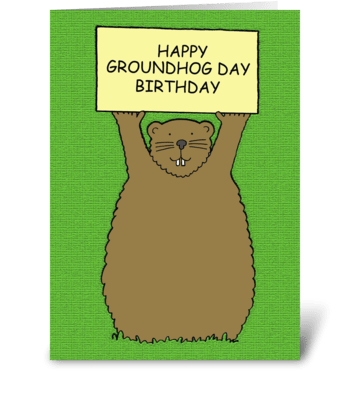 Groundhog Day, modeled after a creature with unusual but fascinating behavioral patterns, gets its celebration tradition from another unusual but fascinating set of behavioral patterns – the customs of rural Pennsylvania. In this region, many towns and villages have strong ties to German ancestry and customs. Thus, many of the celebrations have a distinctive German vibe, though mercifully no one ever attempts to turn the groundhogs into schnitzel. Some families even observe the tradition of speaking German the entire day; for anyone who says a word in English, a fee of 5 cents must be paid. Unfortunately, this often just results in a string of less polite English words afterward. But all of these traditions are secondary to the main event – the groundhog’s shadow watching. While Punxsutawney is the most famous place for groundhog gazing, various other cities across the US and Canada hole up in hopes that their local groundhogs will grant them a shorter winter. And while there’s no guarantee that even the noble groundhogs of the continent can put an end to the bitter winter frost, a friendly greeting or card to your friends and family will be certain to warm their hearts.